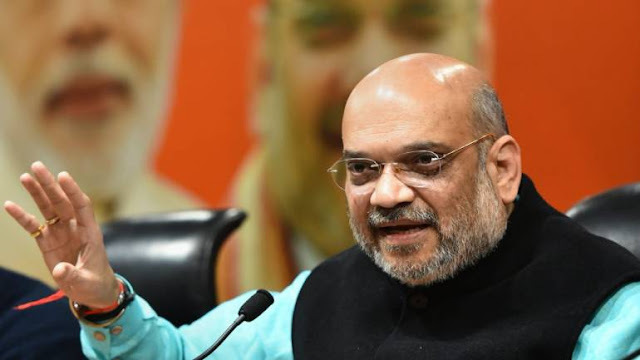 Calcutta High Court Allowed Amit Shah Rath Yatra: The Calcutta High Court on Thursday allowed BJP President Amit Shah to take rath yatra visits in Bengal. Shah's visits were to begin on December 7. The state government did not give permission, the BJP had approached the High Court. The single bench had banned these visits. After this, the party had applied for a larger bench. Rath Yatra will pass through 24 districts of the state. The state government did not respond to BJP letters regarding the permission for the Rath Yatra. In the previous hearing, the High Court had reprimanded the government. The state government had argued in court that communal tensions could spread through BJP's Rath Yatra. After which BJP organized a 'Republic Bachao Andolan' in the Arambagh area of ​​Hooghly district as well as the BJP organized a protest and also approached the High Court for the permission of the rally. BJP leaders had warned that if they were prevented from taking a rally, they would run civil disobedience movement in the state. BJP plans to cover 294 assembly constituencies in 40 days through Shah's Rath Yatra. There will be three AC buses on this trip. They were planning to leave from Cooch Bihar on December 7 and from Tarapith on December 14. BJP leader Kailash Vijayvargiya said that this verdict is a staggering act on the face of the Bengal government. We have not done anything yet, but I can assure that the trip will include the Prime Minister and the party chief.